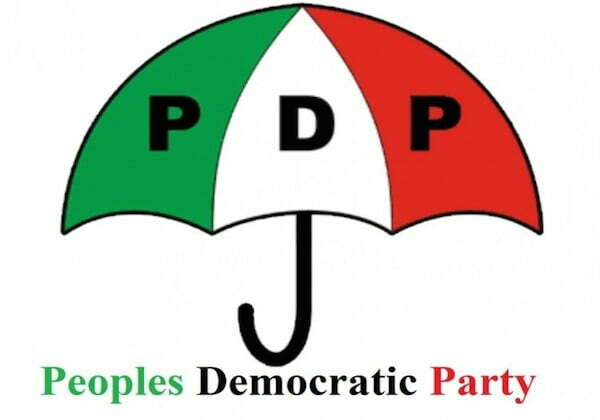 The Peoples Democratic Party, PDP, in Rivers State has joined the fray of criticisms greeting the letter to President Muhammadu Buhari by some elders of the state. The PDP said that the elders are card-carrying members of the All Progressives Congress, APC, and working for Transportation Minister, Rotimi Amaechi to seek Buhari’s interference in the State governorship election collation process. The State PDP Chairman, Bro. Felix Obuah in a statement on Tuesday, described the letter to the President, which was published in some of the nation’s leading newspapers on Wednesday as a concoction of hopeless lies. The party wondered why the APC-sponsored elders preferred to sing from the destructive and disastrous hymnbook of Amaechi, rather than side with the much bruised and traumatized people of the State. Obuah said as card-carrying members of the APC, the so-called elders lacked the moral justification to speak for Rivers State and urged Rivers people to remain calm as the mandate they freely gave to Governor Wike and the PDP on March 9, 2019 will be affirmed at the end of the collation process. The party, in statement to DAILY POST on Thursday, added, “The nation woke up on Wednesday 20th March 2019 to the hopeless lies published by six All Progressives Congress (APC) Elders in leading National Newspapers in their ill-motivated letter to President Muhammadu Buhari. “These APC Elders discarded the overriding interest of Rivers State to line their pockets. “They preferred to sing from the destructive and disastrous hymnbook of the Minister of Transportation, Chibuike Rotimi Amaechi, rather than side with the much bruised and traumatized people of Rivers State. “As card-carrying members of the APC these elders cannot claim to speak for Rivers State. They have no such right to represent the interest Rivers State. “They cannot speak for a State that they have rejected; a State they have turned their backs on in exchange for peanuts. At best, they can only represent their pockets. “To all intents and purposes, the disgruntled card-carrying elders of the APC signed the bribe-induced statement against the mandate Rivers people have freely given to Governor Nyesom Ezenwo Wike and other PDP Candidates on March 9, 2019. “They are confirmed members of the Amaechi anti-Rivers team. They are part of the old politicians on the retainership of the Minister of Transportation to spin and spew falsehood on the electoral process in Rivers State. “The former Rivers State Governor, Chief Rufus Ada George is a known APC Card Carrying Member, who has lost his Rivers instincts. “Alabo T.O Graham Douglas served on the campaign committee of the sacked Rivers State APC Governorship Candidate, Mr. Tonye Cole. “Prof D.M.J. Fubara , Chief Samson Agbaru, Rear Admiral O. Fingesi (rtd) and Group Capt J.I. Ben-Kalio (rtd) are prominent card-carrying members of the APC members who have continued to play key roles for the party. “Therefore, the letter is part of their contribution to the atrocious plot by the APC against the people of Rivers State.